Welcome back! Today I wanna give you what for me was one of the most challenging and awesome blues bass lessons. As guitar players we love bass lines. We incorporate them into our riffs, we come up with licks that include the bass player following us doing the exact same thing, and more. Wouldn’t it be awesome if we could somehow have 4 freaking arms to be able to play a bass and a guitar at the same time? I know a few folks who would totally do it. Well guess what? There’s this technique called Chord Melody, which is just basically playing chords and melody at the same time with a guitar. 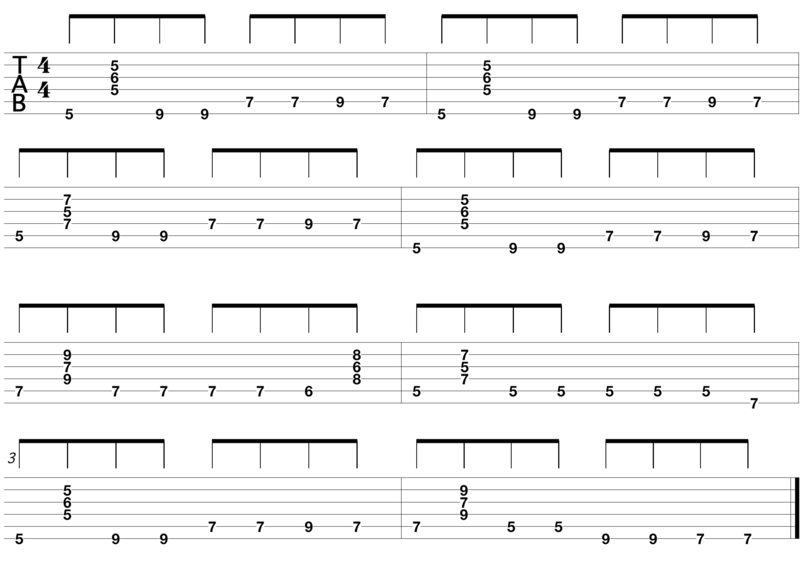 If we invert this we can totally have walking bass line, or a normal bass line and chords. It’s not a big deal, it’s just a matter of coordination and knowing when to play the chords. How do you play this? I would personally use my thumb for the bass line and my other fingers for the chords. Some people might prefer to use all of their fingers with the bass line but I think it gets messy and harder to change back to the chords. So now it gets a bit more complicated right? Because now the bass line is longer. So you not only have to remember the chords, but also what the bass is doing. My advice is to learn the chords first, then separately learn the bass pattern and when you feel like you know them both by heart, try to combine them. Our beginner guide to learning how to play blues guitar will give you step by step instructions that help you learn blues guitar even more. Start with a very slow tempo and progressively increase it. This is all for today.